Do you want to study abroad? Well, yeah but you know I can’t afford it. Many brilliant students face this difficulty and they just leave their dreams because they can’t afford it. Now there are a few ways which can help students to achieve their dreams without really going to bankruptcy. There are many Government, organizations, and universities that offer scholarships for Indian Students. The falling value of Indian rupee has increased the yearly cost of abroad education. So parents and students are looking for some alternatives. 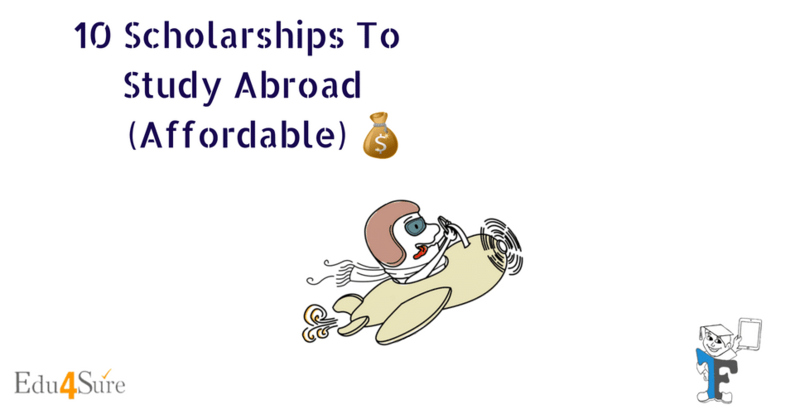 Here are a few scholarships that will help you fund your education abroad. It is funded by the Hornby Educational Trust, it covers the student’s full tuition fee for pursuing a 1-year full-time master’s degree in an English Language Teaching (ELT) related subject in the UK. An IELTS score of 6.5 is required. 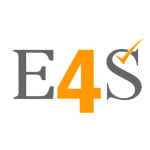 Applicants will have to submit evidence that they have at least IELTS 6.5 or an equivalent score in other English language certificates (TOEFL, TOEIC, etc) exam. The seats are limited. This foundation gives scholarships for PG studies to students from developing countries which come from weak financial backgrounds. The grant covers the tuition fees and the living expenses only. This is open for the students of Bangladesh, India, Pakistan, Tajikistan, Kyrgyzstan, Syria, Afghanistan, Egypt, Tanzania, Uganda, Kenya, Mozambique, Madagascar, France, Portugal, the UK, USA, and Canada. The French ministry of foreign and European affairs started the Eiffel Excellence Scholarship Programme to attract intelligent overseas students to pursue master’s, engineering and Ph.D. courses in France. The scholarship is given to candidates who wish to pursue a master’s/ post-graduate degree course or a ten-month jointly tutored and jointly supervised component as part of a Ph.D. course, preferably during the 2nd or 3rd year of study. Ph.D. courses as part of a combined tutored or supervised thesis with a foreign higher education establishment partner. For master’s level courses, the age limit is 30 years at the time of application deadline and 35 years for Ph.D. programmes. The Chevening Scholarship programme gives full or part funding for full-time courses at the PG level, generally a 1-year master’s degree, in any subject and at any UK university. International students who want to pursue PG study at universities in the UK can apply. Destination: Any English-speaking country that takes TOEFL scores. The scholarship programme identifies students in India who perform outstandingly in academics and show well-rounded qualities such as participation in extracurricular programmes, also including community service. It covers undergraduate or graduate study in India and/or overseas. You must currently reside in India. You need to complete the online scholarship application (new this year) and upload the academic transcripts. Offered by the United States India Education Foundation, the Fulbright Scholarships are given to young and deserving Indian students. A minimum of 55 percent from a recognized Indian University. A four-year bachelor’s degree is a necessary requirement. If the student has a bachelor’s degree less than 3 years, they must have at least a minimum of three years of professional work experience in the proposed field of study. You must not have a degree from another US university. Age between 25 and 30 years. The German Academic Exchange Service gives full and partial scholarships for a range of post-graduate courses with special preference to developing countries at German universities. International students and young individuals from developing countries in Africa, Asia, the Pacific Islands, South and Central America and Central and Eastern Europe. This is funded by the Bharat Petroleum Corporation Ltd and it covers two years of study in India or abroad. Age Limit 25 years as of September 1 of the current year and have secured at least 70 percent in science, engineering or commerce and 65 percent in the stream of arts at graduation can apply. Students with confirmed admission to any PG degree course in any field of education other than fine arts, duration not exceeding 2 years, at any recognized university/institute either in India or abroad can also apply for the scholarship. The scholarship is awarded by the Commonwealth Scholarships Commission and is available to all Commonwealth countries. The India programme is managed by the Association of Commonwealth Universities (ACU, the UK). The scholarship duration is 6 months in case of clinical training, 1-year for a master’s programme and 3 years in case of Ph.D. The eligibility criteria vary according to the course applied. The Netherlands Fellowship Programmes are demand-driven fellowship programmes made to promote capacity building within the organizations in over 50 nations by providing training and education to their mid-career staff members. The scholarships allow candidates to pursue master’s studies, Ph.D. studies, or short courses at Dutch universities or institutions. The allowance is considered to be a share of the cost of living for one person, whether in the Netherlands or in another country. The fellowship also covers the costs of tuition fees, visas, travel costs, insurance, and thesis research. It is awarded to professionals who are nationals of and work and live in an NFP country (includes India). To be eligible for an NFP fellowship, you must be admitted to the master’s degree programme, short course or Ph.D. study, for which you would like to use the fellowship. There are many more scholarships which are provided by several universities and countries to attract talent to their countries. All you need is hard work, good performance in the academics and a good command over the English Language.